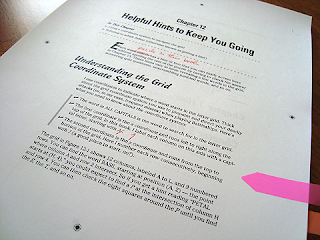 Goodness, it's been a while since I wrote! I've just been writing madly on my next book, a kid's puzzle book for Hinkler Books, and feeling pretty depressed, I must admit - the fires are still getting me down, with flashbacks to what we went through in Canberra 6 years ago, plus various health problems at home (mainly Hubby), an old friend died, and my uncle is still in a worrying situation. I'm overworked, fed up and unwell. It's all too much sometimes. We have caved in, and a year after Lily's death, have applied for a new chihuahua puppy, and hang the consequences (in terms of renting and the 'no pets' policy adopted by so many landlords). We miss having a dog too much, and I refuse to let the fact that we rent cripple our lifestyle that much! We need puppy cuddles!!! 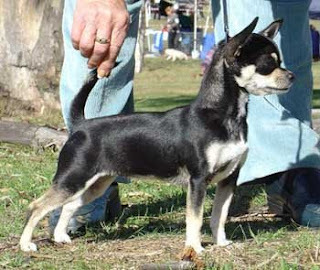 She will be from Joviva Chihuahuas, just a few suburbs from us. This is the mummy - Kenya. The dad is of similar colouring, so I'm guessing the pups will also be short-haired and dark. Litter is due on 19 March! It's been hot again - high fire danger impending this weekend, which is a worry for Victoria. 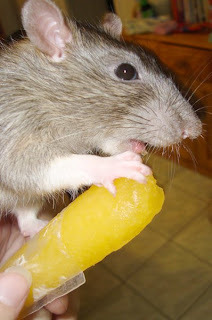 Even the ratties have been needing some relief ... they nabbed Dotter's icy pole, and spent a wonderfully hilarious half hour licking the mangoey goodness! My uncle has just finished 6 days of chemo for his returned leukaemia ... it's a very stressful and worrying time. The leukaemia has crossed the brain-blood barrier, so is in his brain now. It's not brain cancer, it just means that the blood in his brain now has leukaemia in it. He had an Ommaya Reservoir put in yesterday. 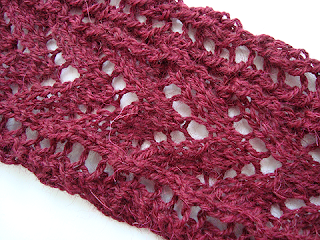 This is the Victorian Sampler Spring Scarf, from Knit Picks (here's the Ravlery link), which I'm making for my aunt, as she's going through a hell of a lot too. It's knit with Coolaroo Alpaca from Berrima, and I'm making it longer than the original pattern says. A quick knit. Hope you're well, I'm sorry I've been absent online a fair bit - in April I'm taking the whole month off, my first holiday in well over a year, in fact I can't actually remember when I last had time off work .... and I can catch up then! I can't wait!! So sorry about the death of your friend, but very glad you have some exciting things (book! holiday! new puppy!) to look forward to! Thank you for the CD. It was LOVELY and happy. Thank you! The card was so sweet! You're so thoughtful. Congrats on the puppy! YAY! NEW PUPPY! I'm glad you've been working through Lily. Poor girl, so hard. The scarf is lovely and good work on the book. We will suffer through work together then. Busy busy you - and here are some hugs!!! Oh puppy's must be the happiest things around, except for maybe kittens and babes. yes but I want I really want to know is where is Lulu? I'm so glad you are getting a new puppy - I could not handle everything without my dogs - they are such a comfort. I am sorry about your friend. It is such a hard time for you with so much to handle. I'll be sending lots of good and strong thoughts your way. The mama looks superb! Will be interesting to hear how you pick out your special one ... based on a look, a lick, special markings, etc.? Thanks for staying in touch, dear. My heart goes out to you! All work and no play at all would depress anyone. Thank heavens for a break in April. Oh, it's good to hear from you - I'm so sorry so much seems to have gone wrong, though! Hoping for better days ahead - and with your book and a new puppy to look forward to, I'm sure they're coming! I know you will pick yourself up. 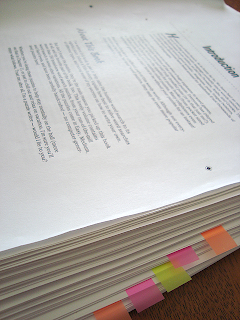 Jeez, that is a lot of paper. So glad you are getting a new puppy, that will sure pick up everyone's spirt. Will be looking forward to updates. The temps down under are unbelievable. You have been working your self silly for a long time and will derserve a good break. You're getting a new puppy? Why? When I can get you several ferrets for free? I don't understand. You are experiencing a lot of stress and hurt right now. I am so glad that you have wonderful things, like a new puppy, to help give you balance.